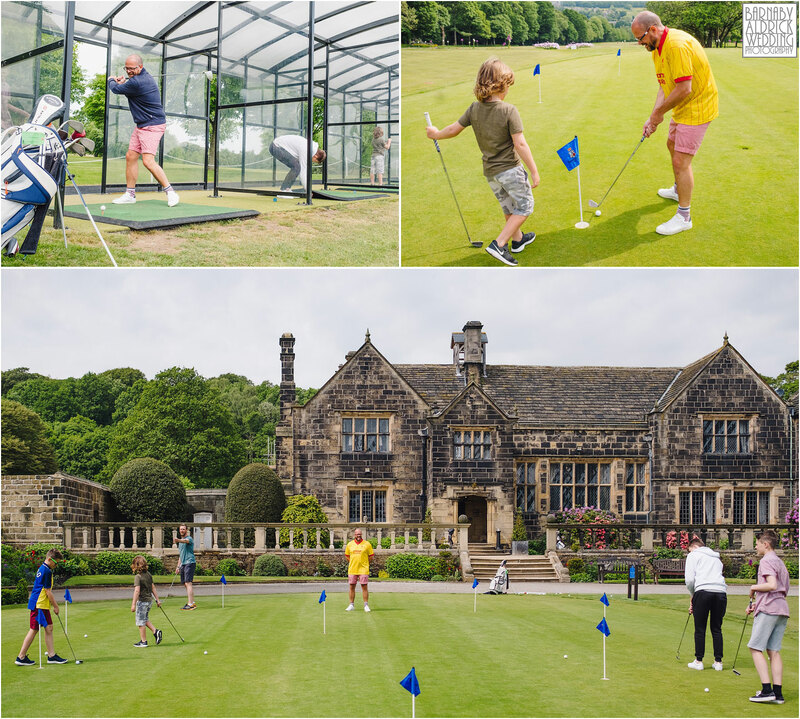 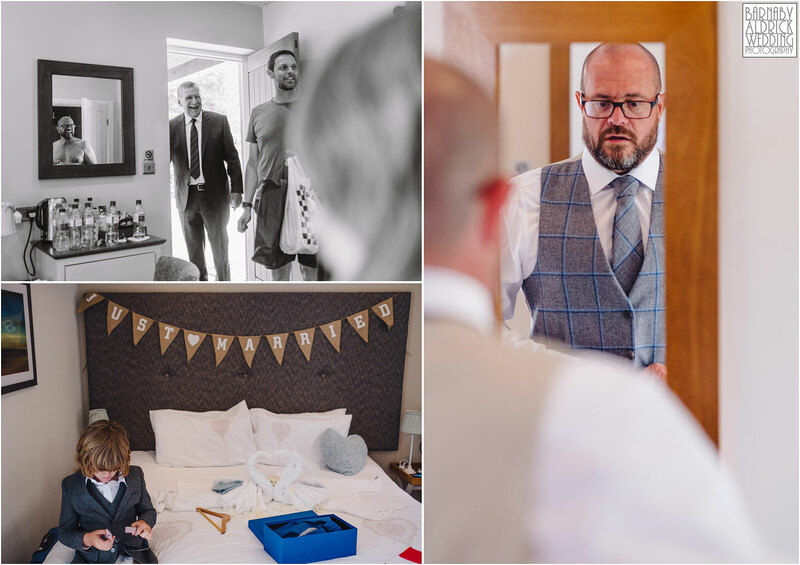 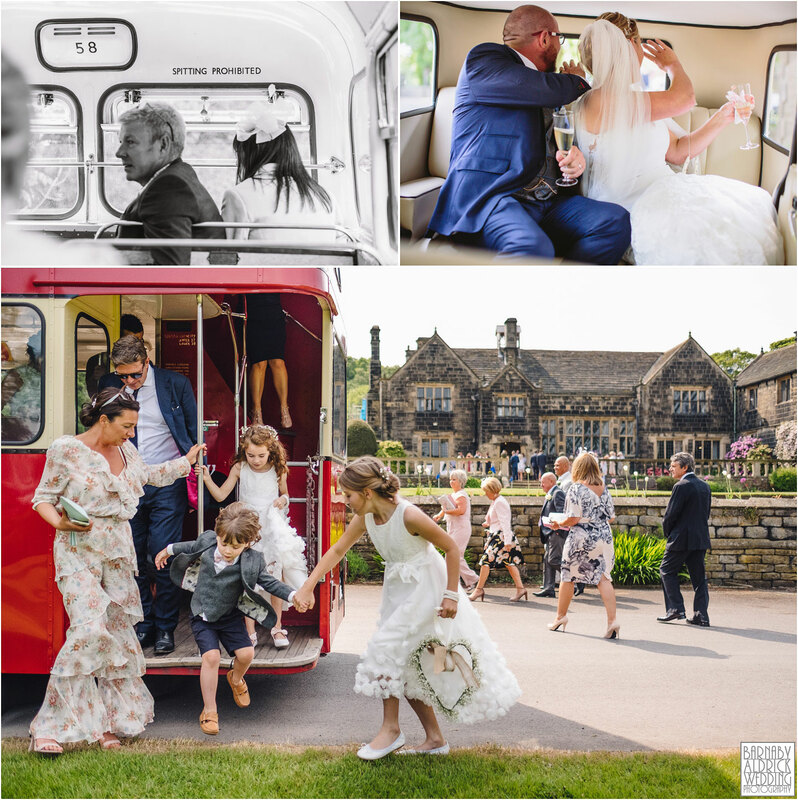 Last weekend I joined Sarah + Steven for their wedding photos at Woodsome Hall Golf Club – an exclusive golf course south of Huddersfield, with stunning views over West Yorkshire and a 16th century Grade 1 listed Club House steeped in history! 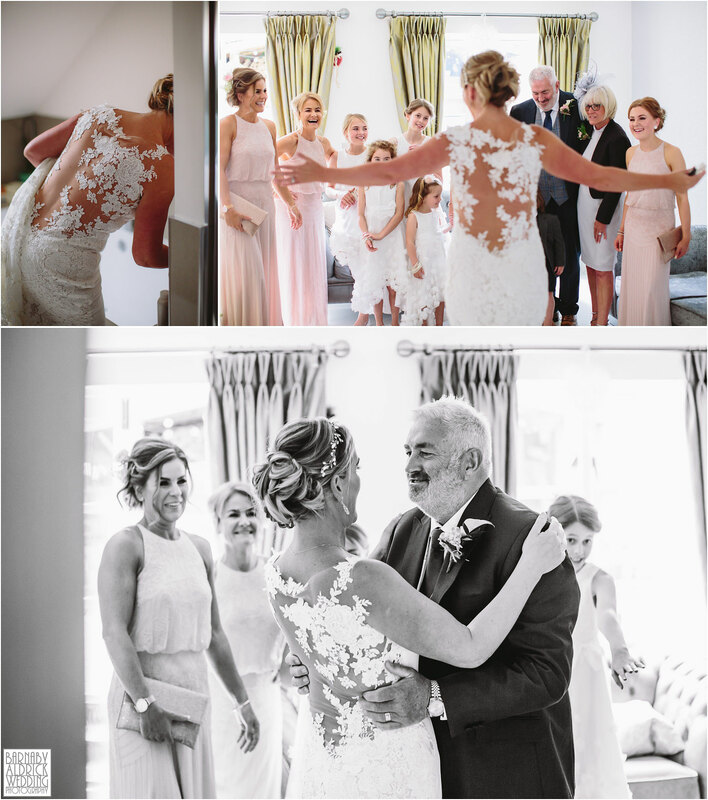 I joined Sarah and her bridal army (there were loads of them!) 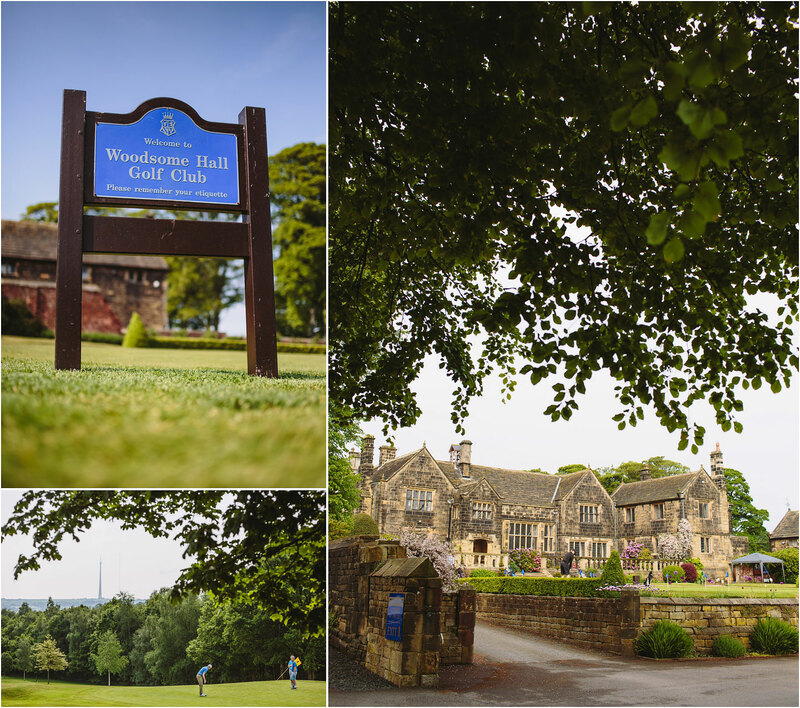 at their home in Kirkburton, while my wingman Kristian Leven joined the dudes at Woodsome for a spot of golf before getting ready! 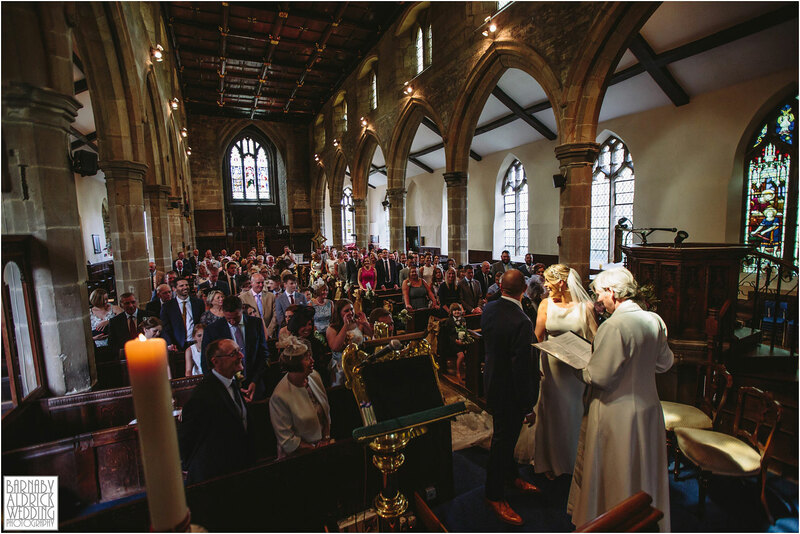 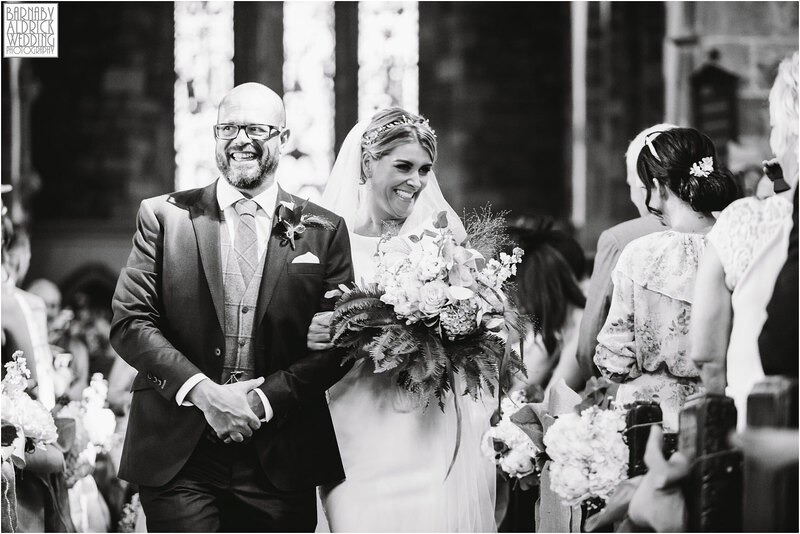 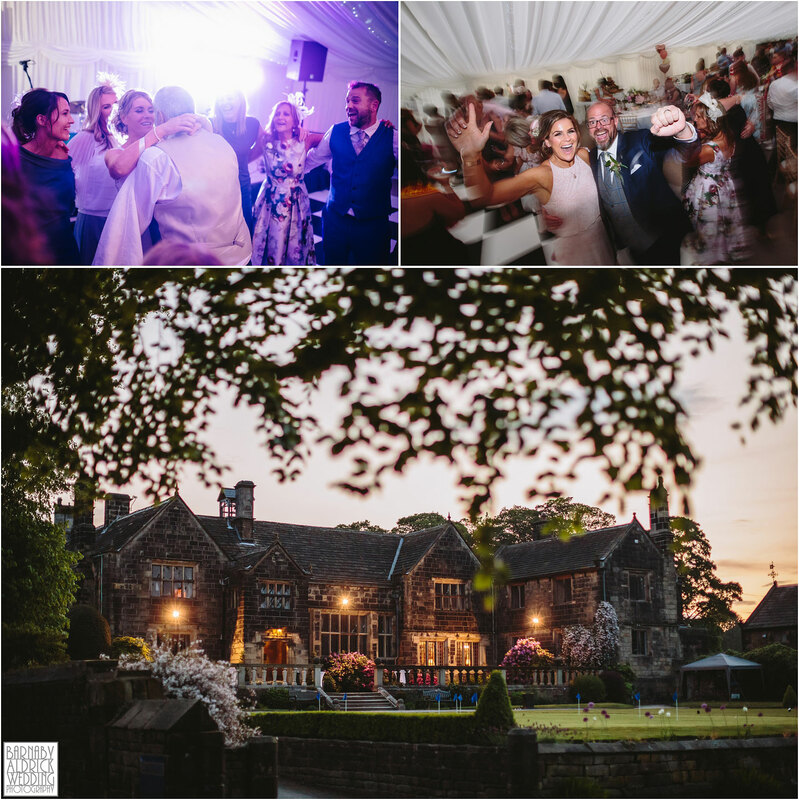 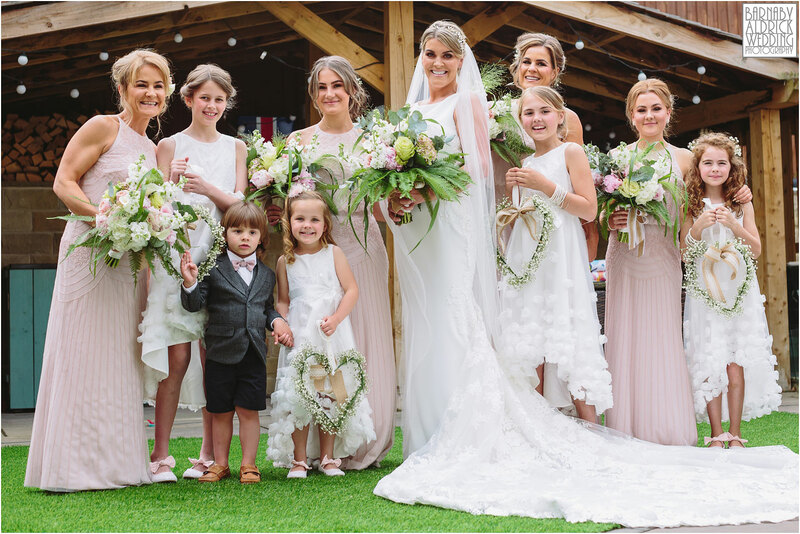 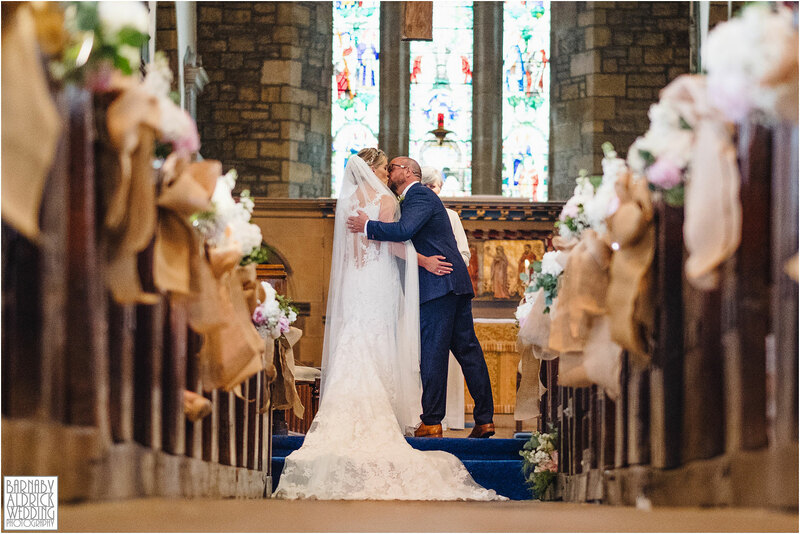 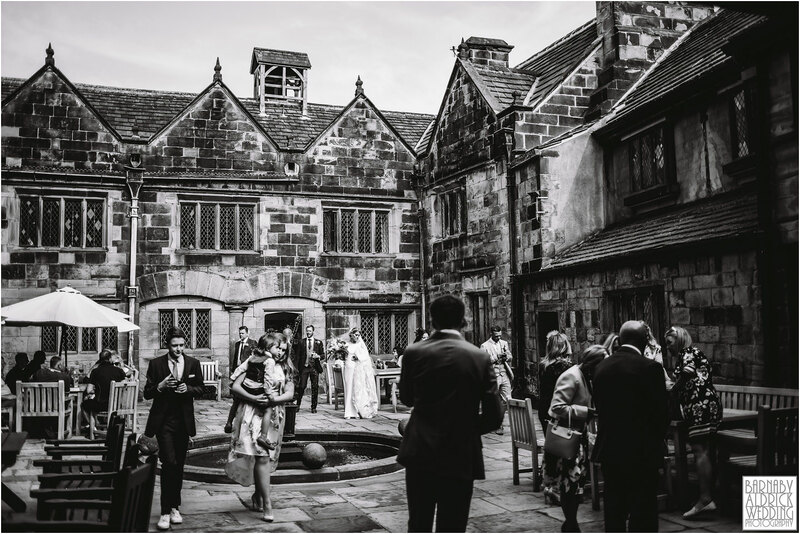 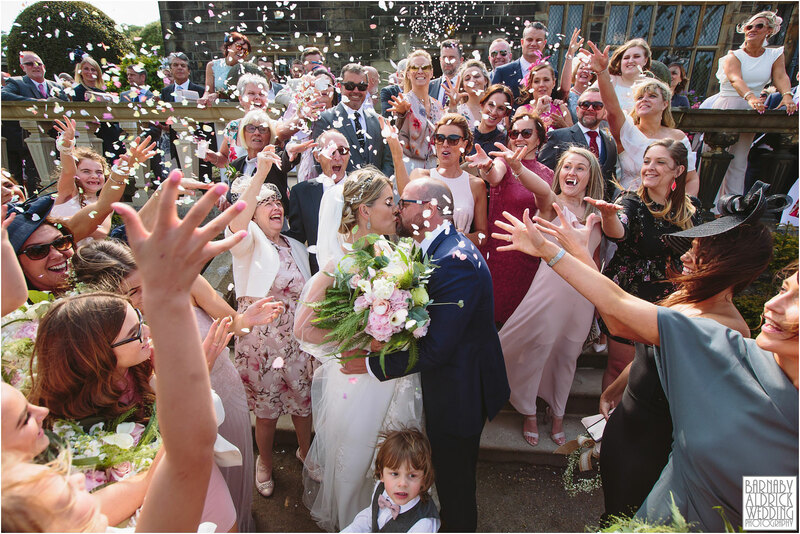 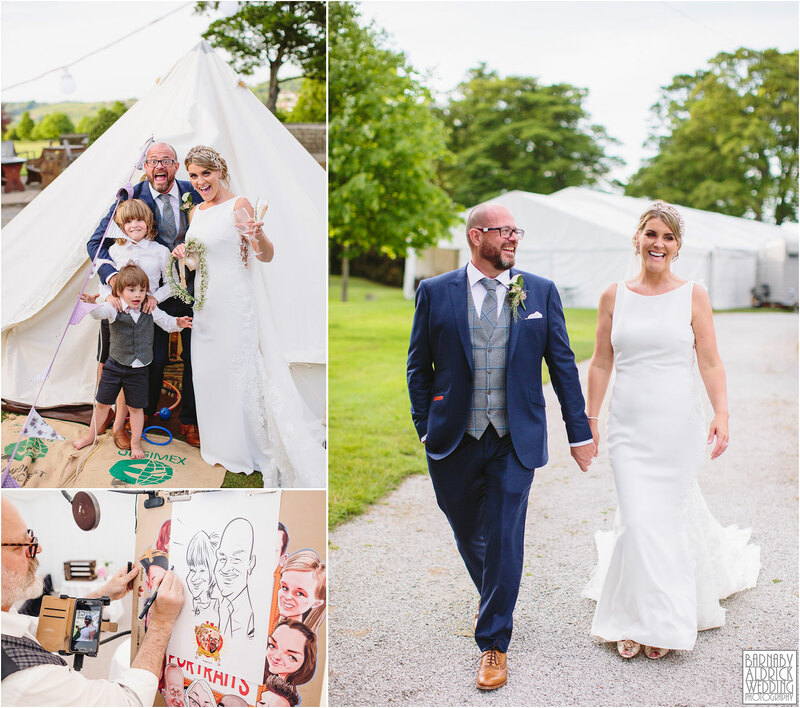 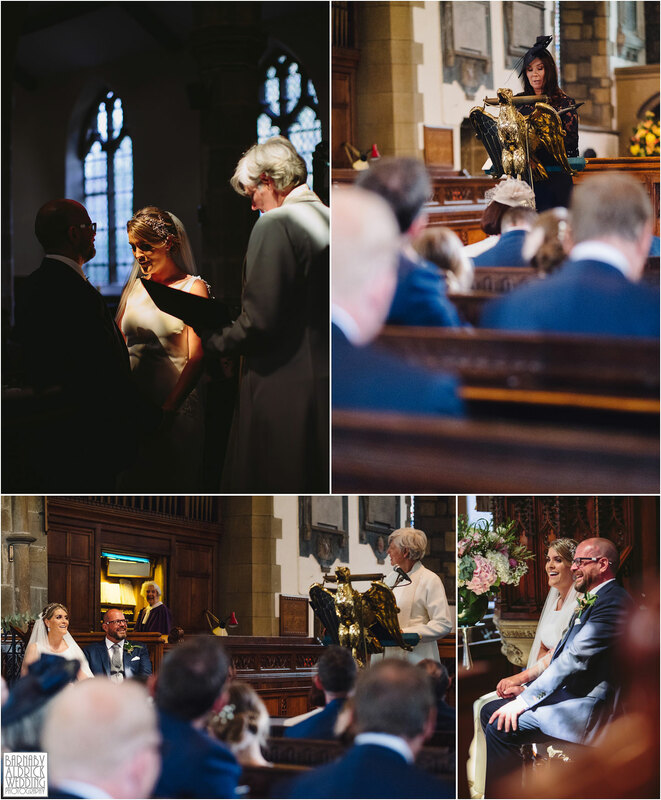 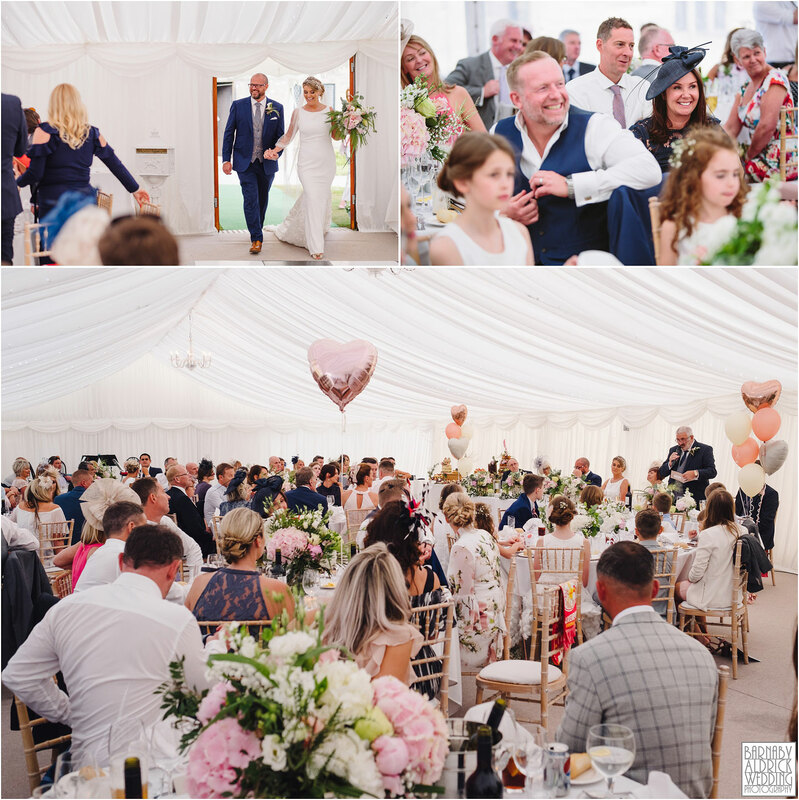 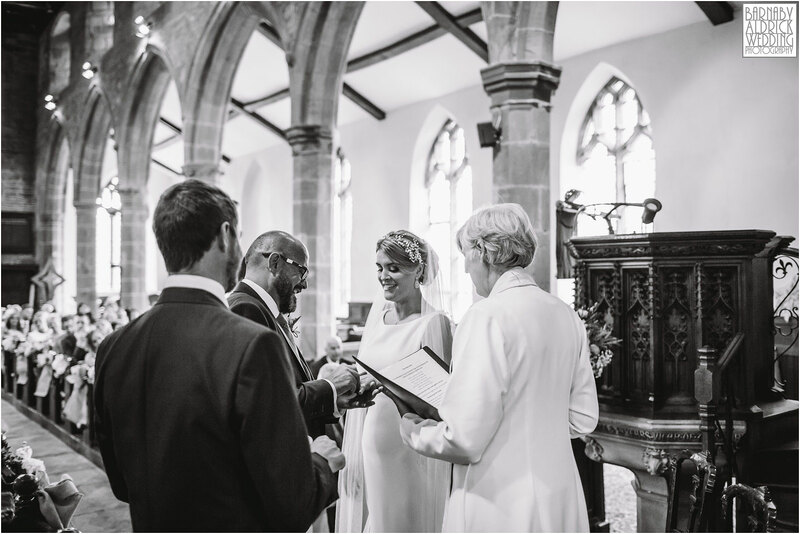 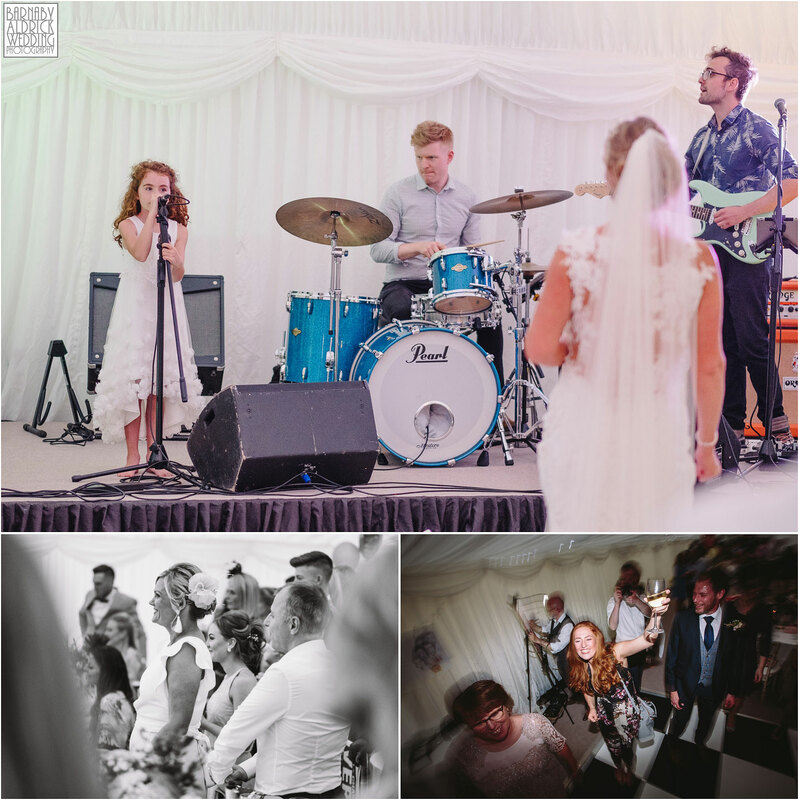 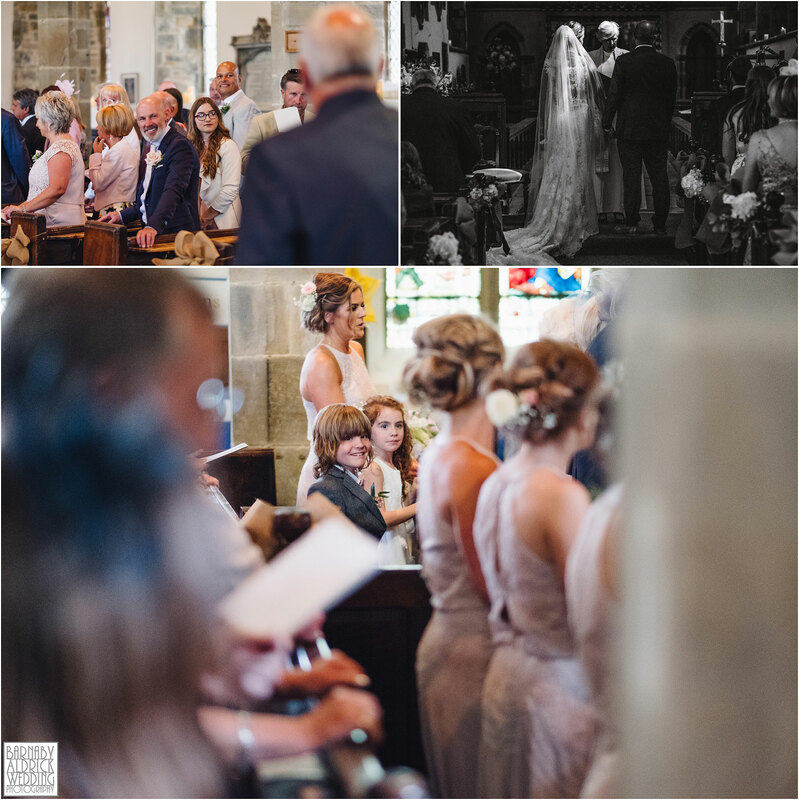 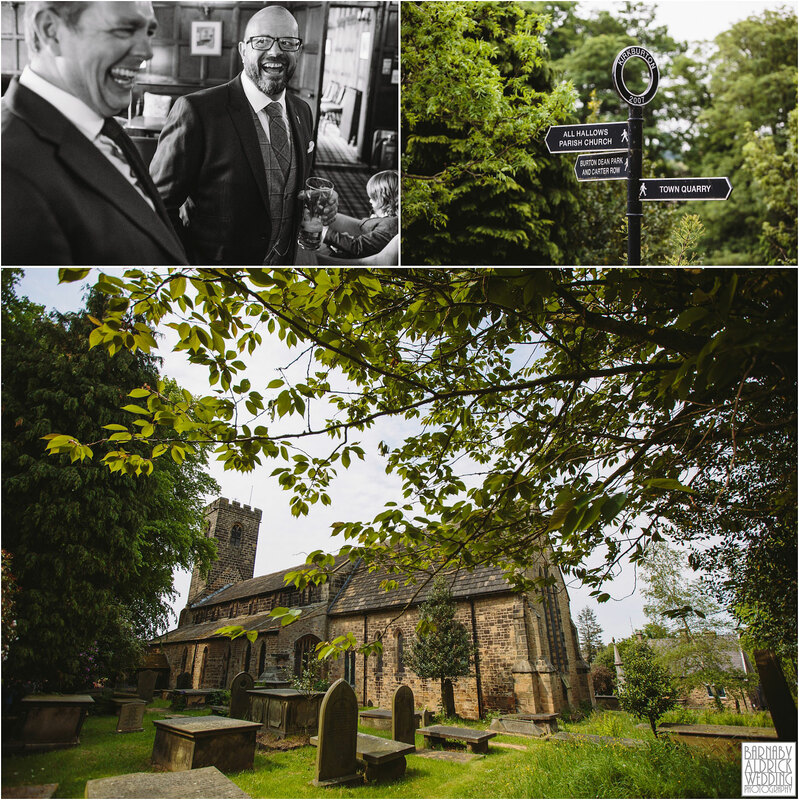 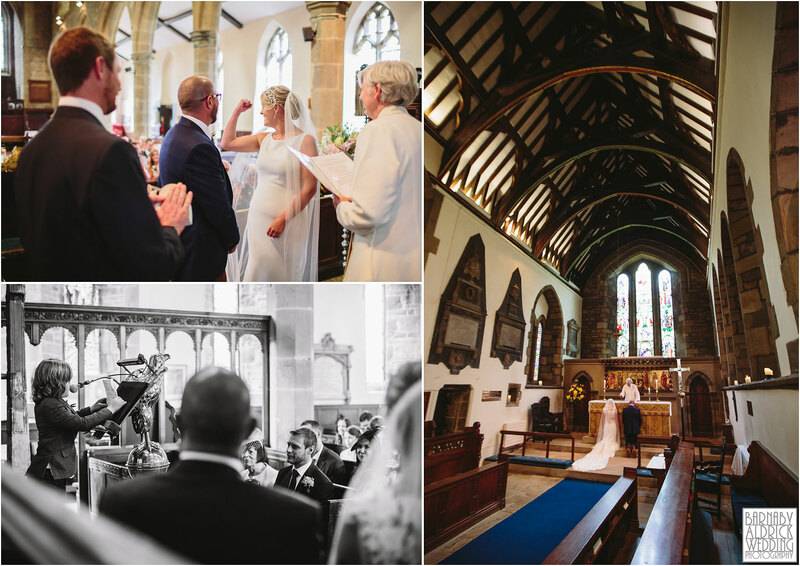 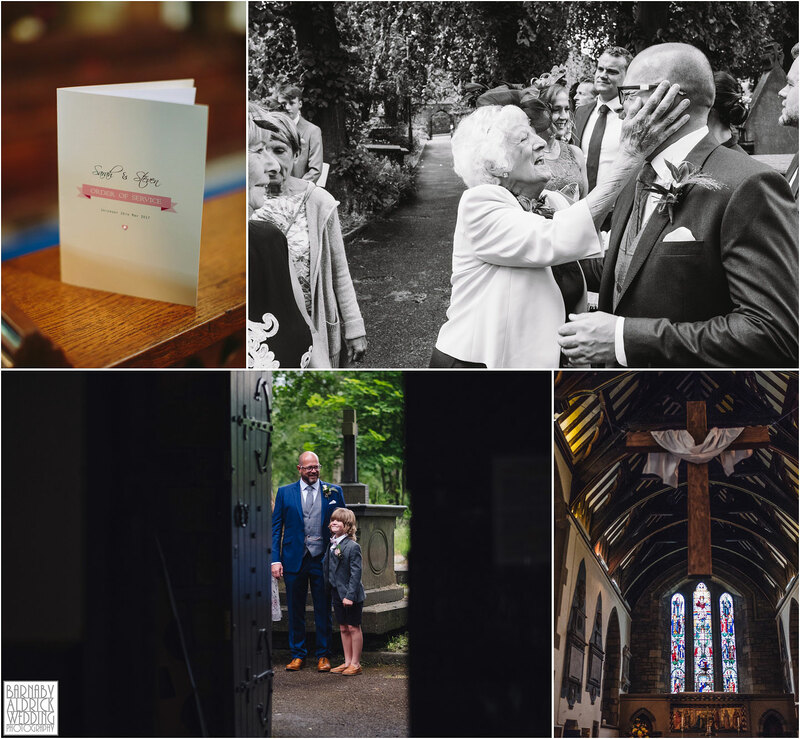 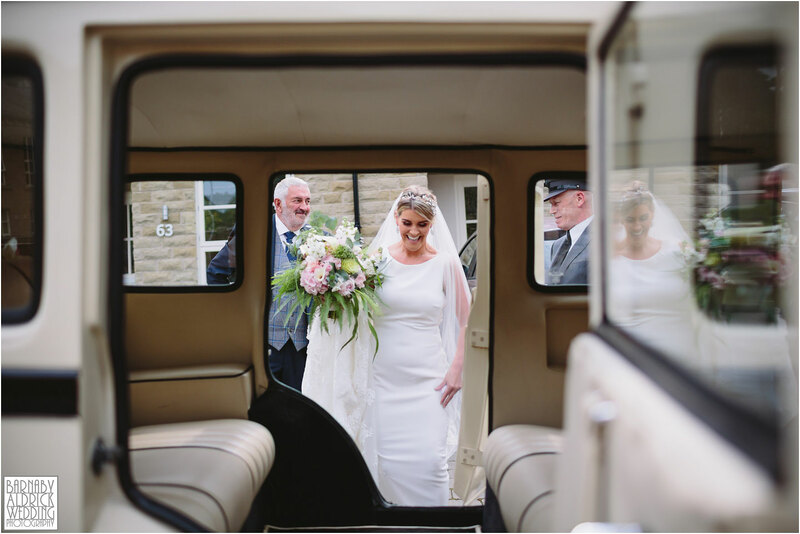 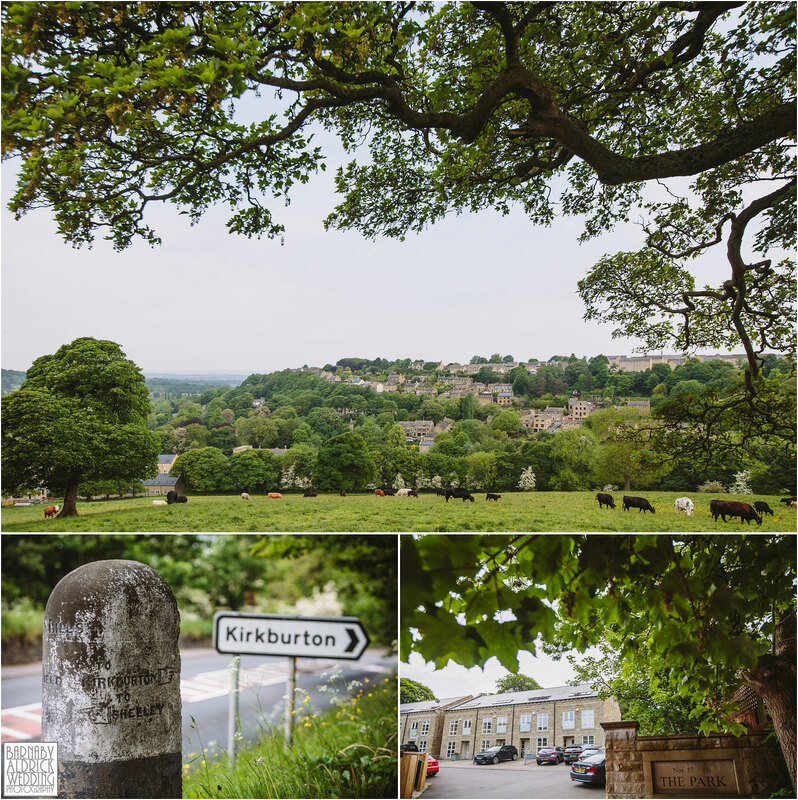 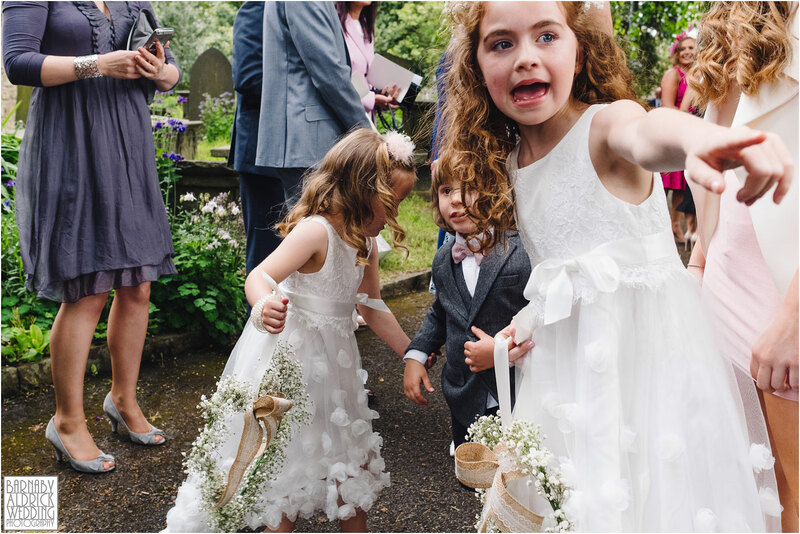 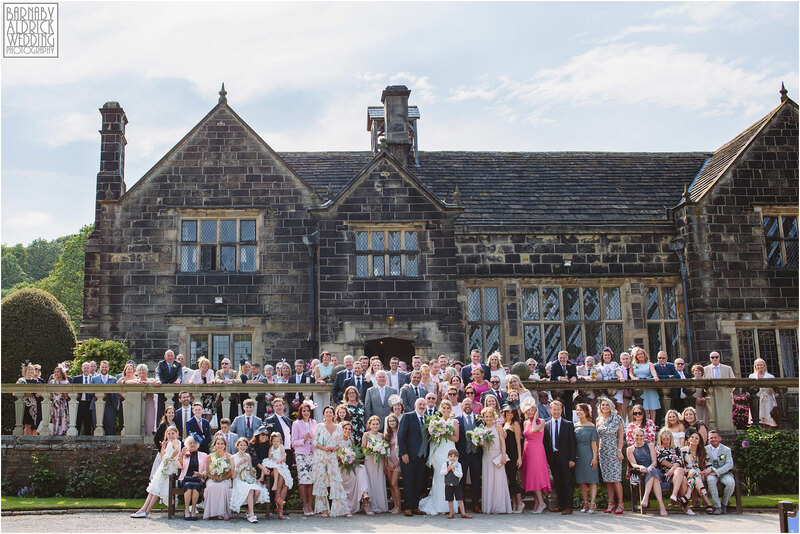 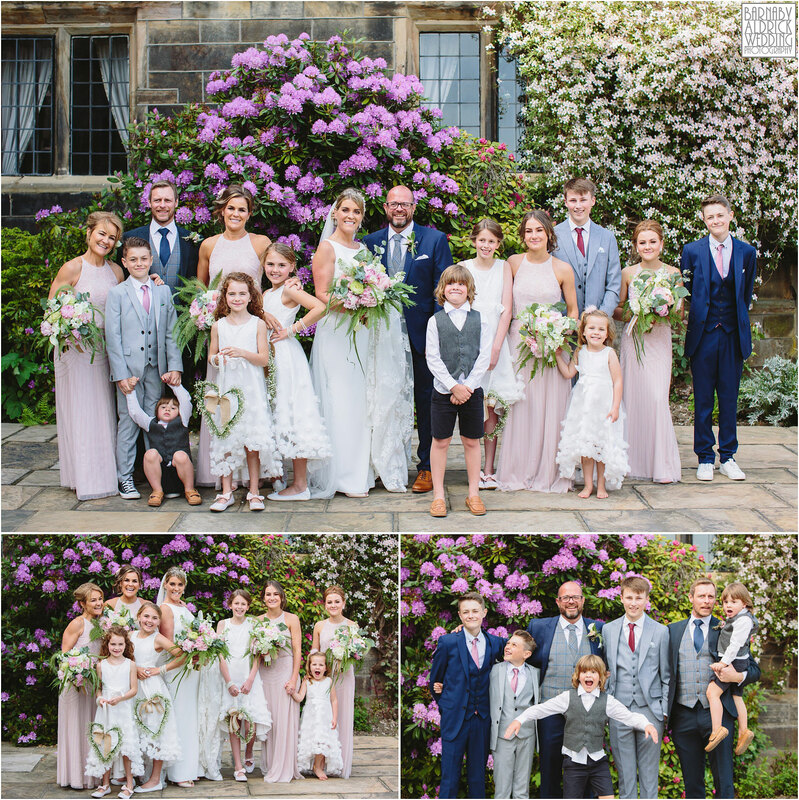 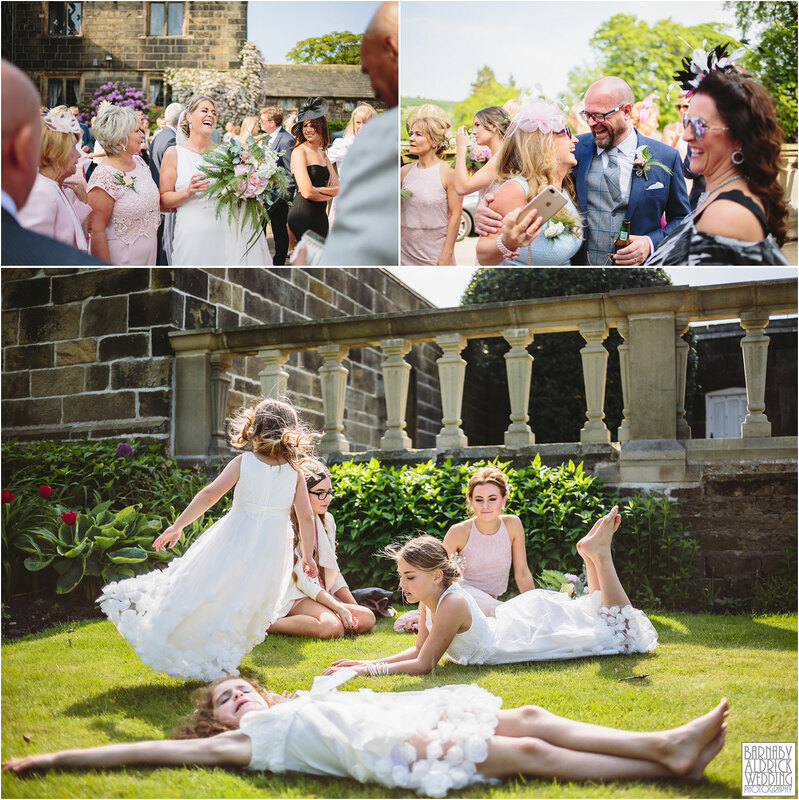 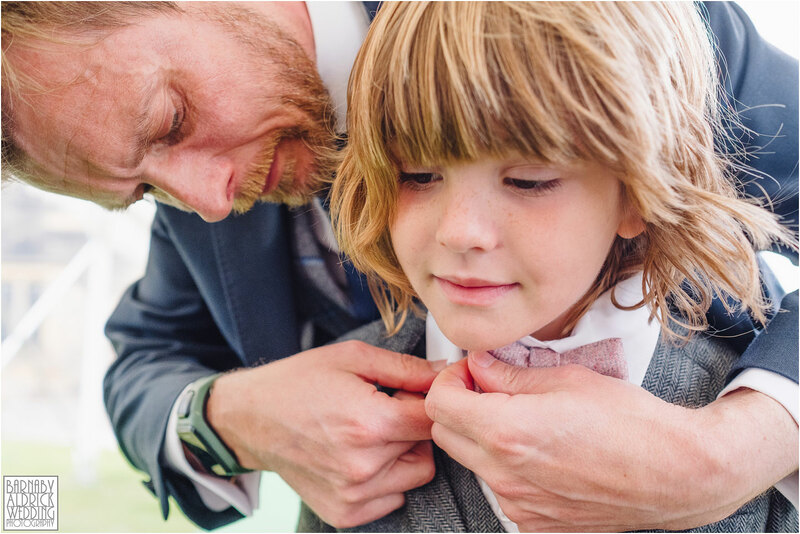 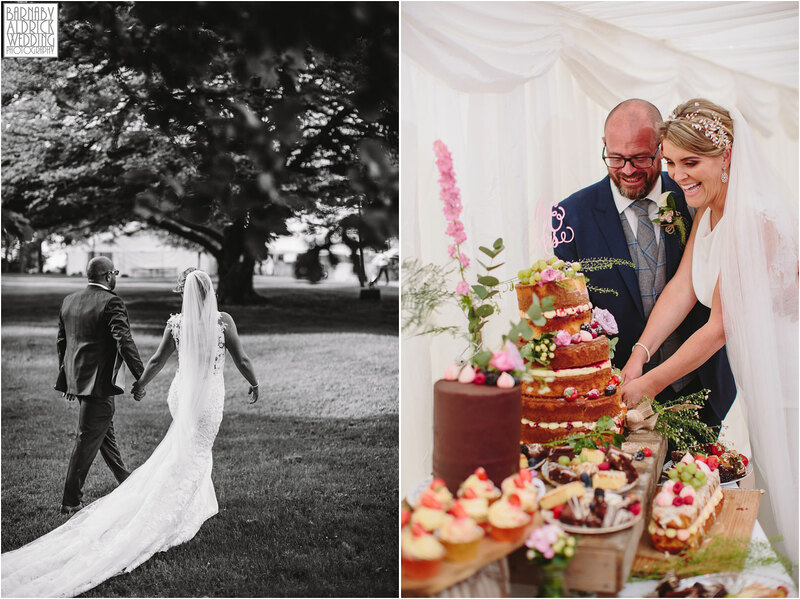 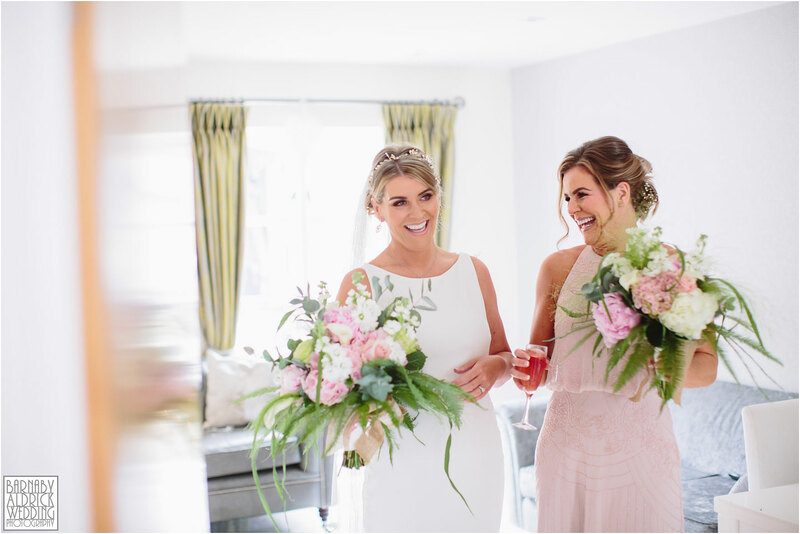 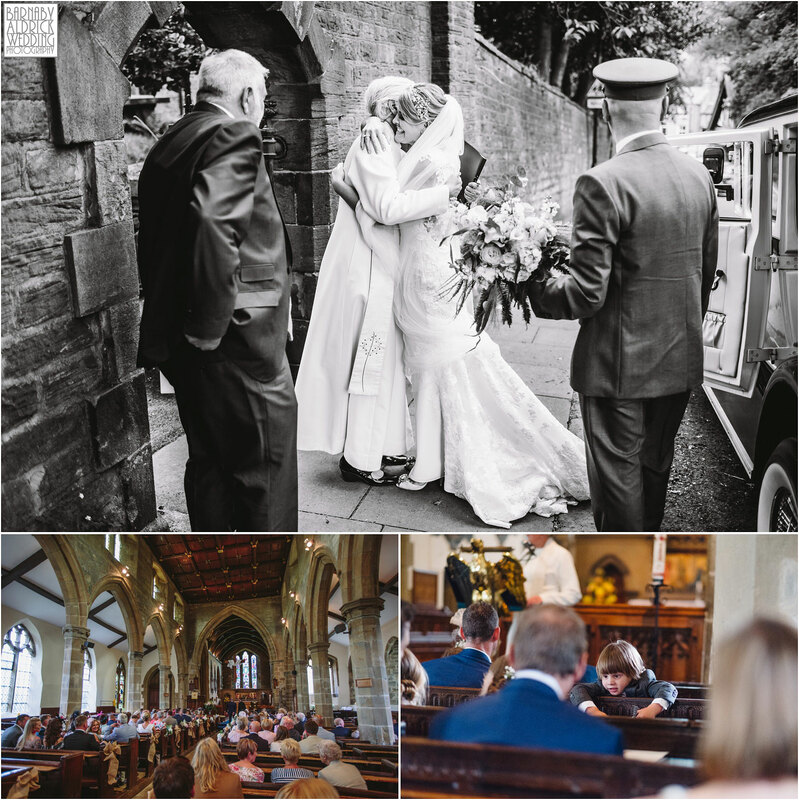 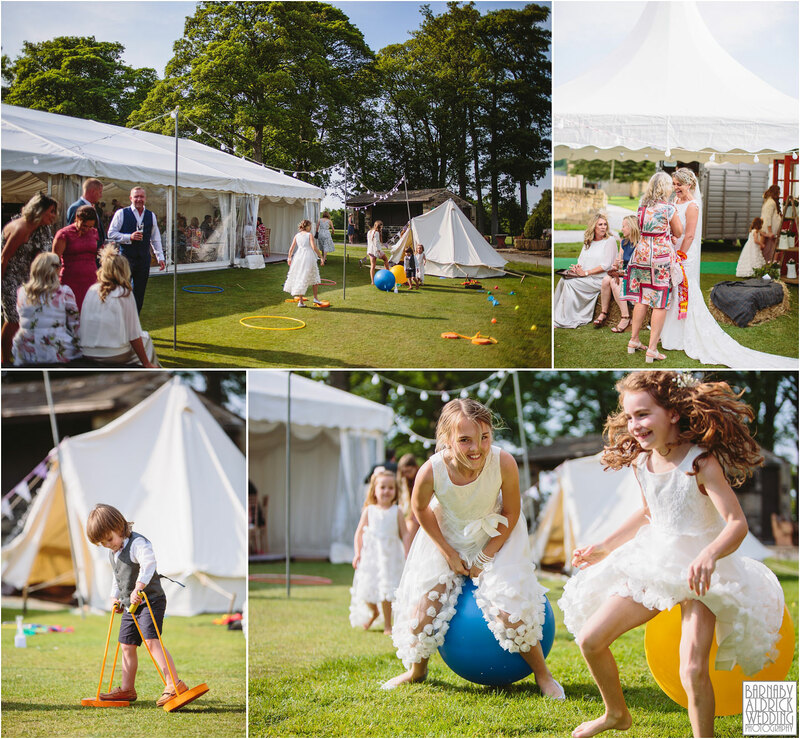 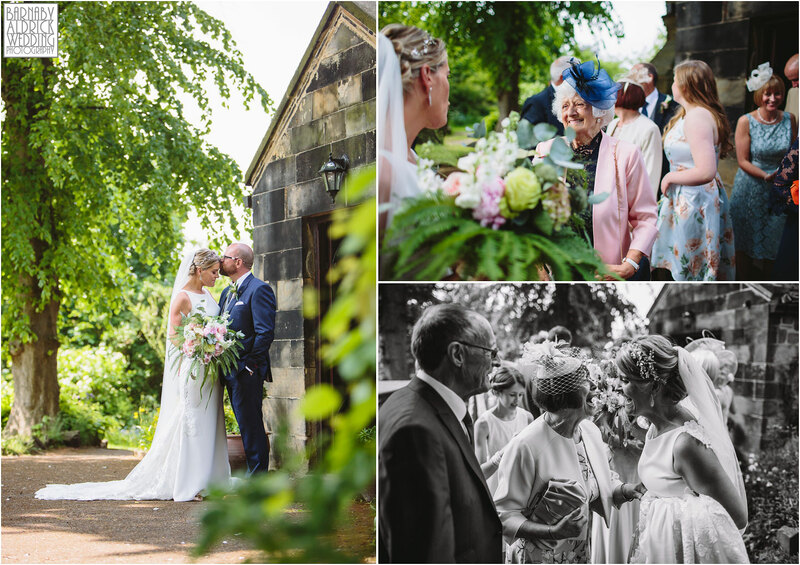 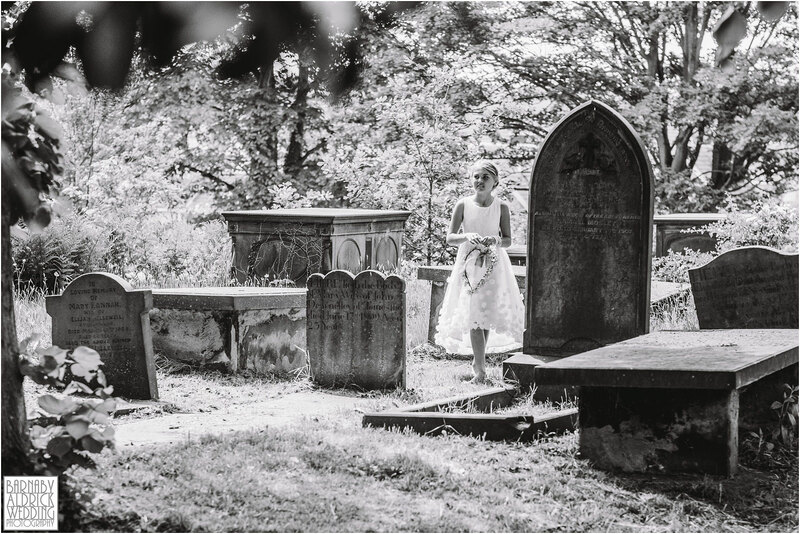 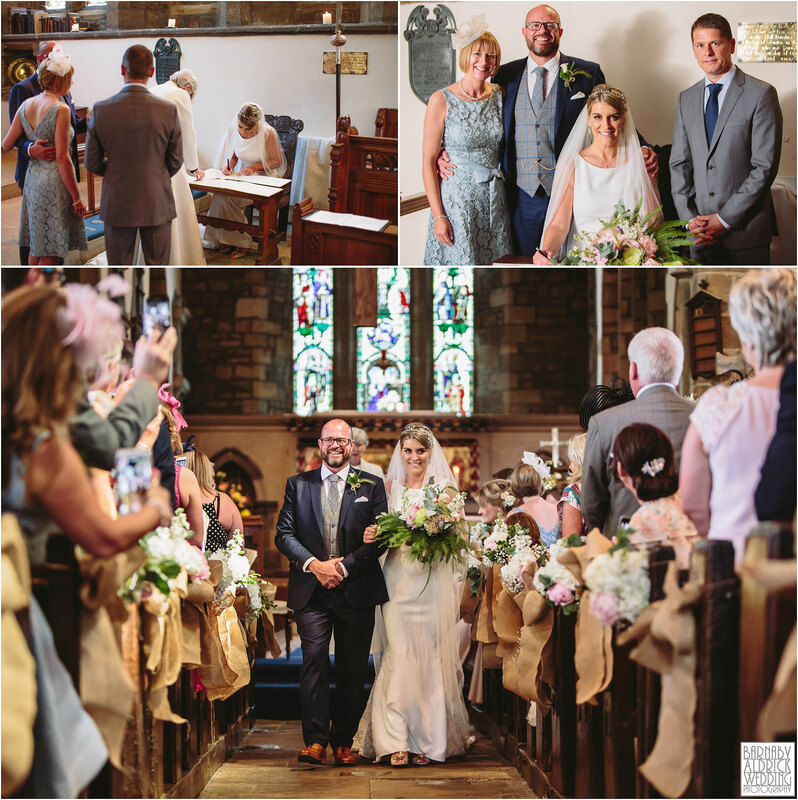 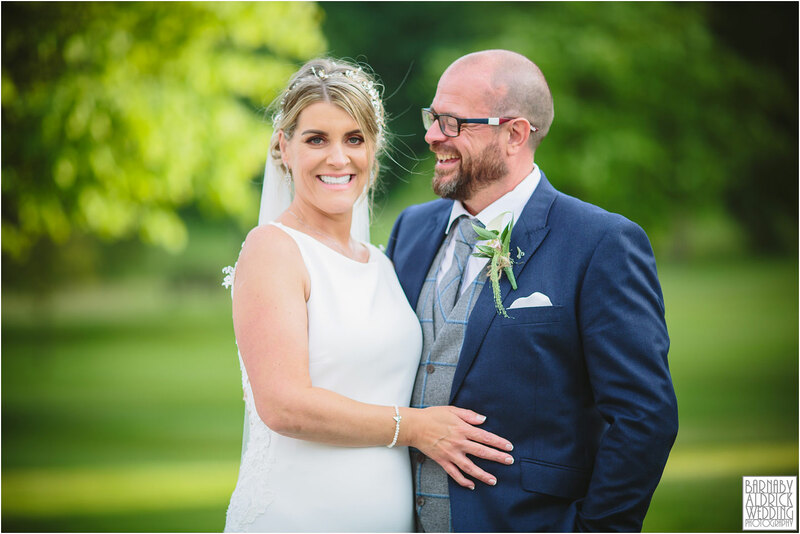 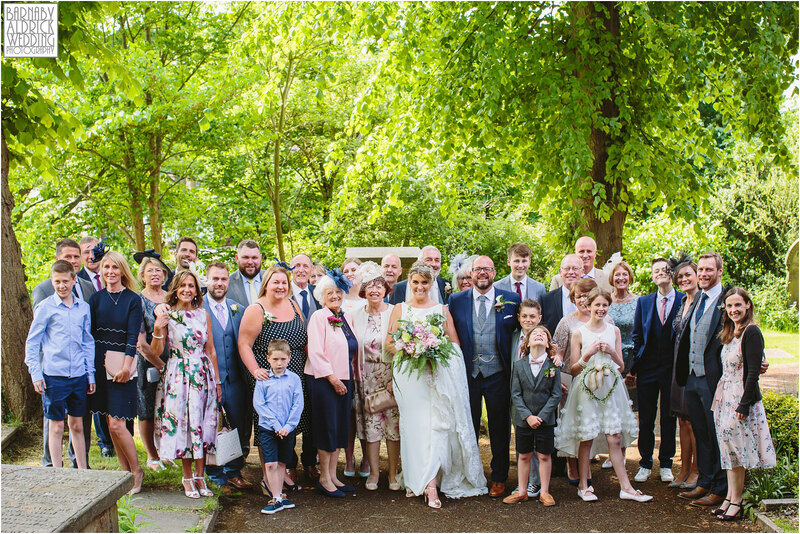 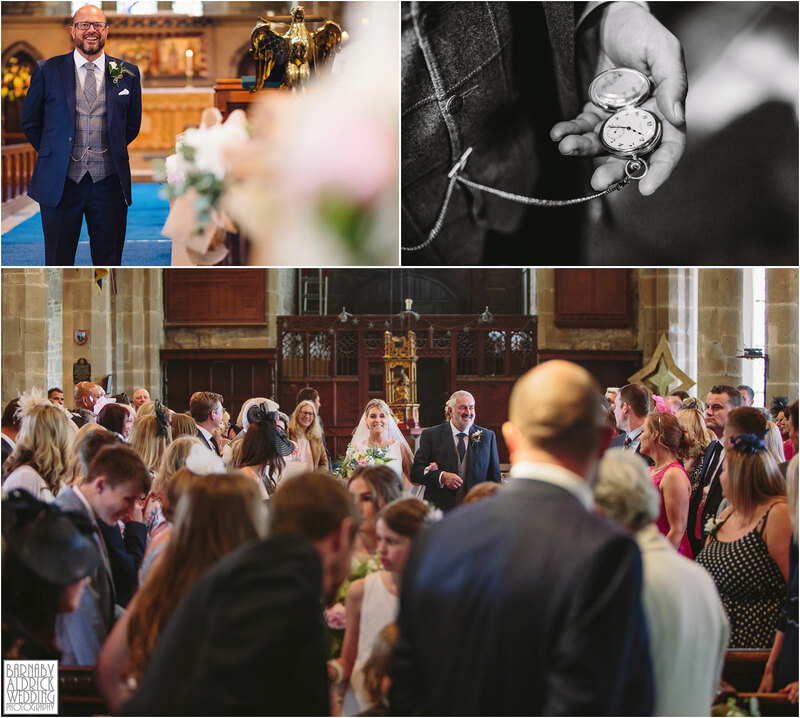 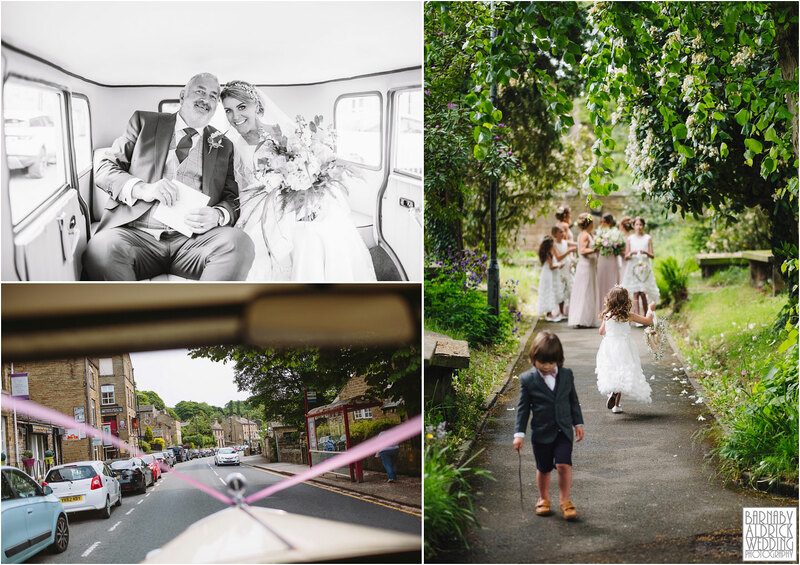 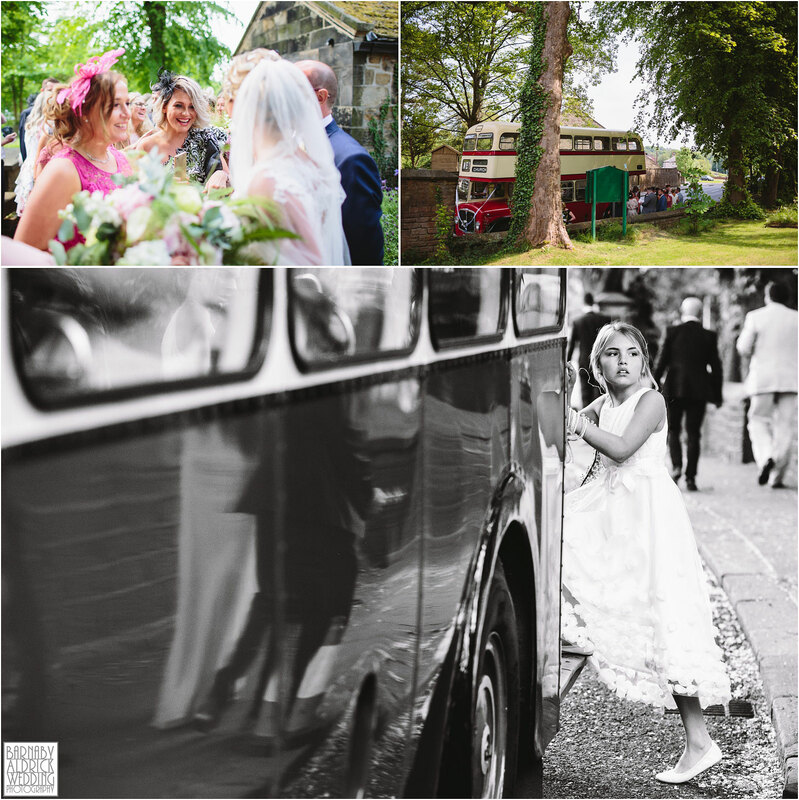 A beautiful ceremony was held at All Hallows Church in Kirkburton, before enjoying a sunny reception, and relaxed evening around the stunning Woodsome Hall! 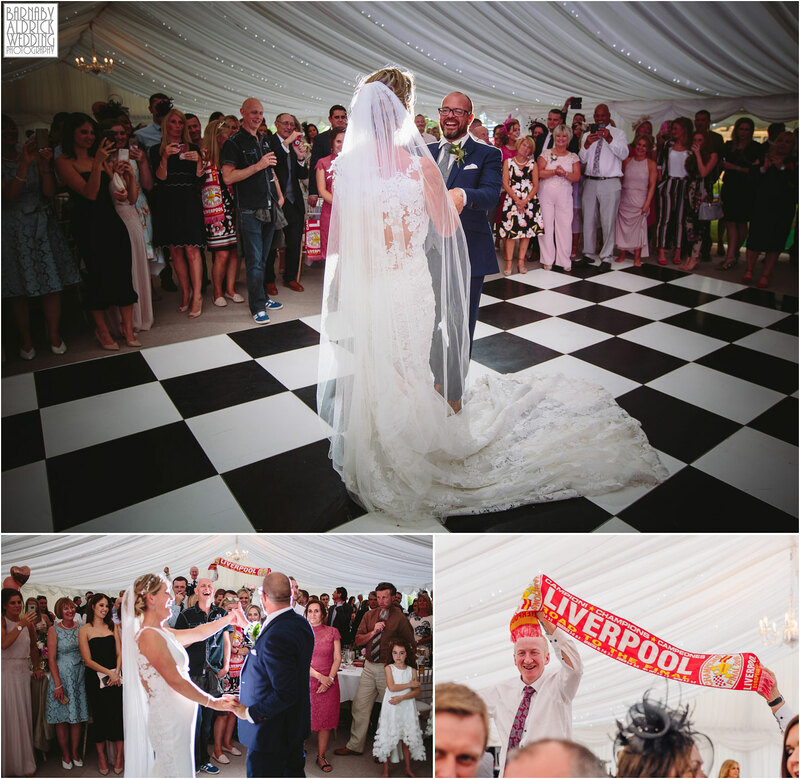 Sarah + Steve share a common (and massive) interest in football. 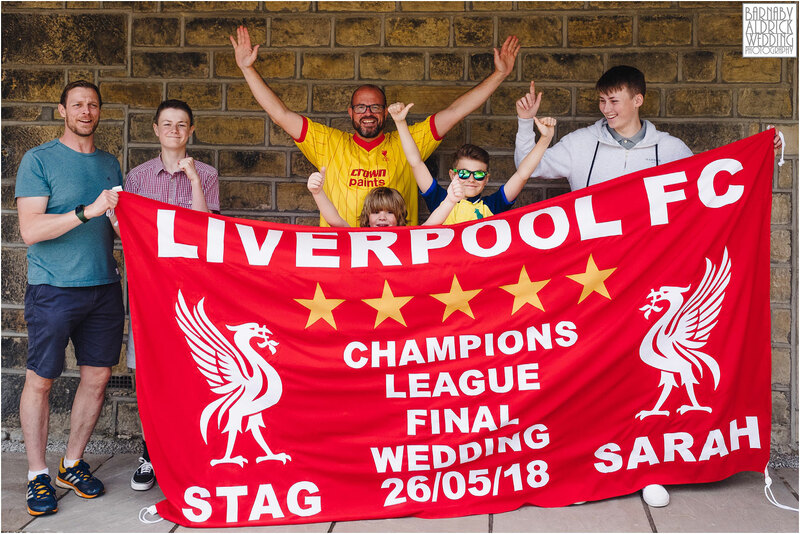 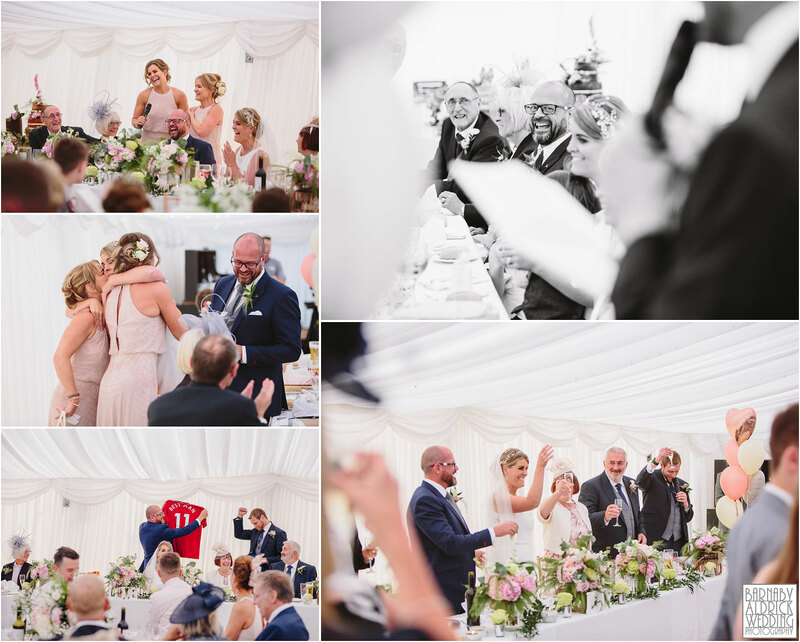 Steve’s a HUGE Liverpool fan – so it was both a blessing and a curse that Liverpool were playing Real Madrid in the Champions League Final on the day of his wedding! 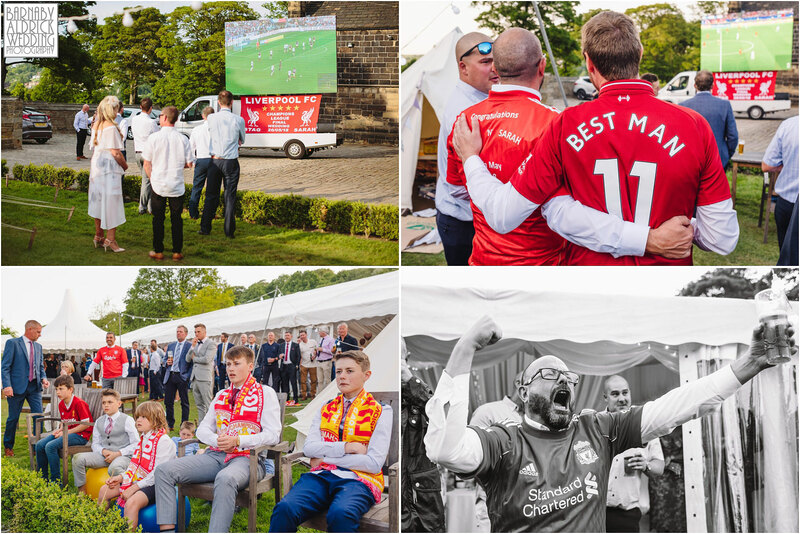 So after a quick first dance in the evening, the guests were treated to watching the game on a monster screen in the evening sun, and in spite of Steve wearing his lucky liverpool socks, they sadly lost 3:1. 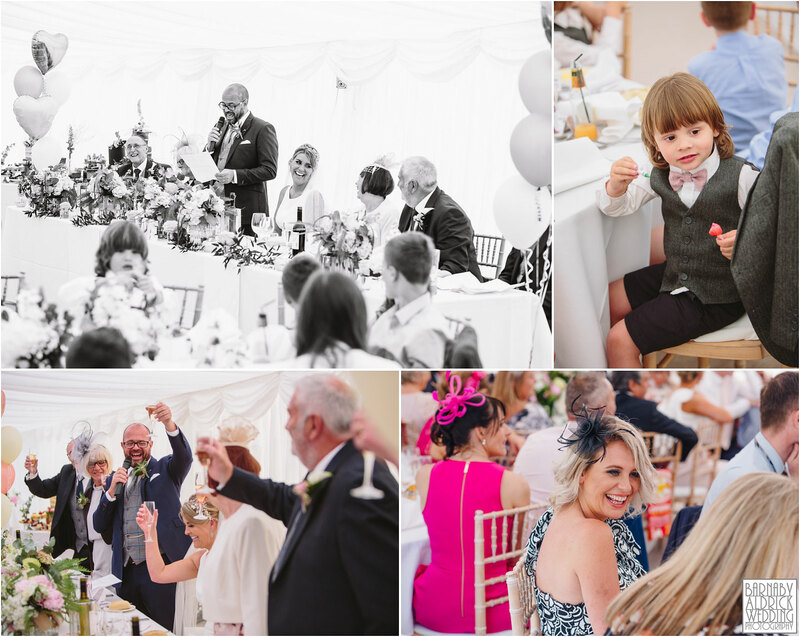 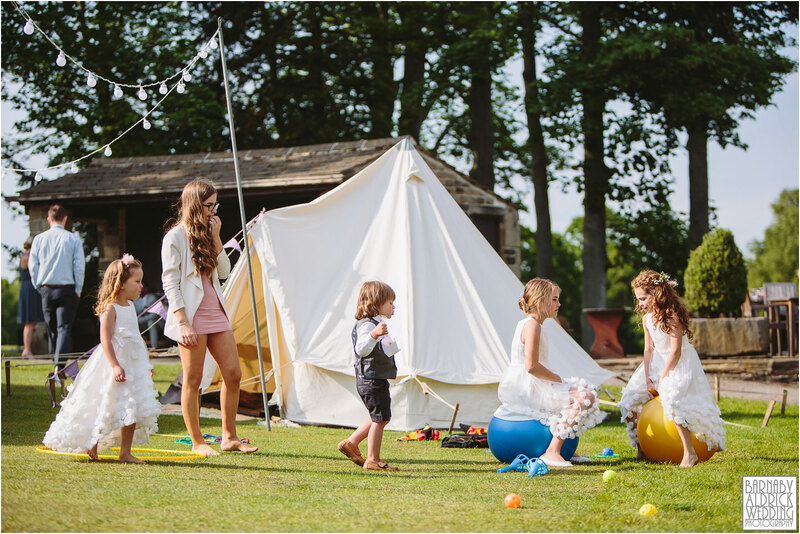 🙁 But this didn’t spoil a beautiful day and we had a fab time hanging with the guests and Kirsti at Whimsical Events did a great job at keeping everyone having fun! 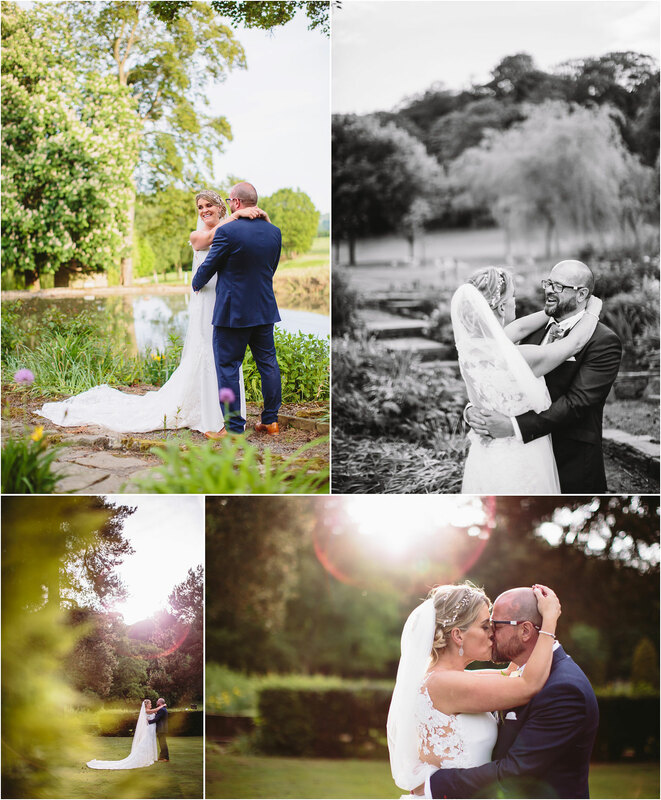 I’ll be uploading their full set of images to a password protected client area in just a few weeks, so if you’d like to be notified when all their images go live, register to be notified at: clients.barnabyaldrick.com/SarahAndSteven. 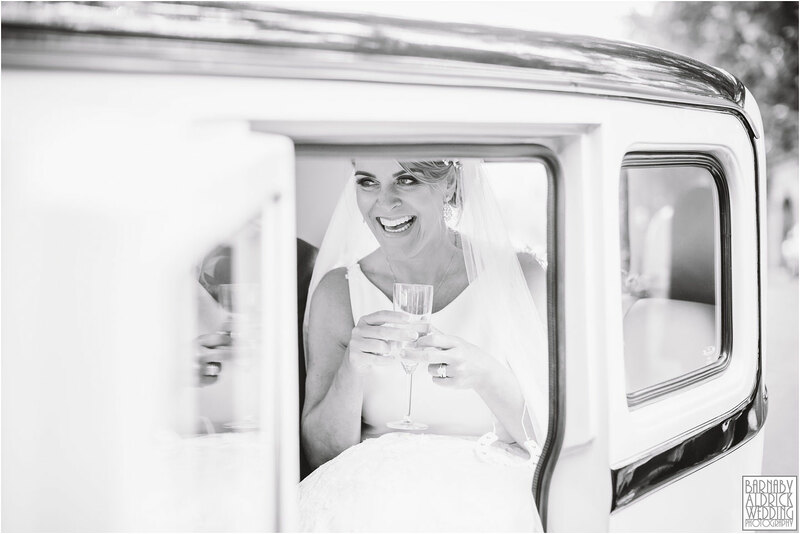 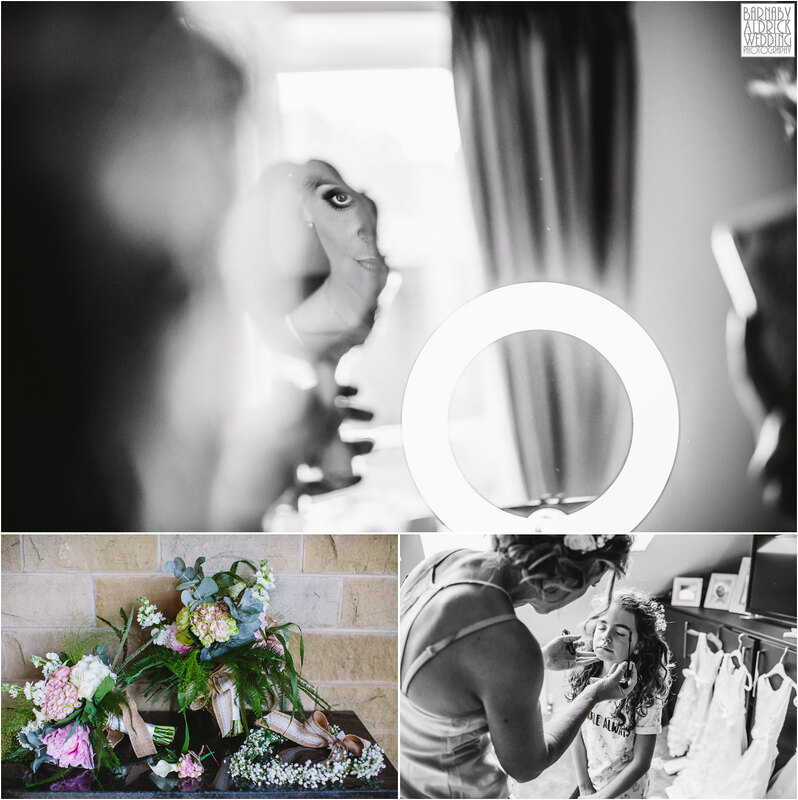 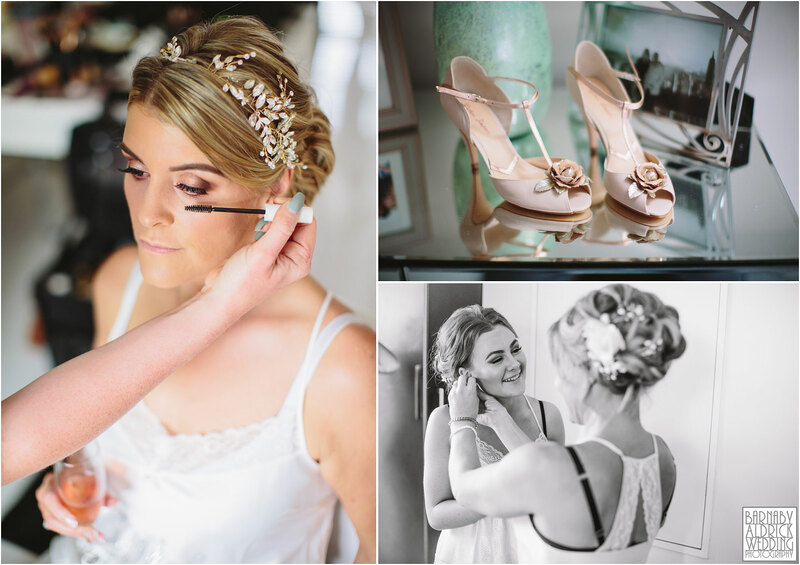 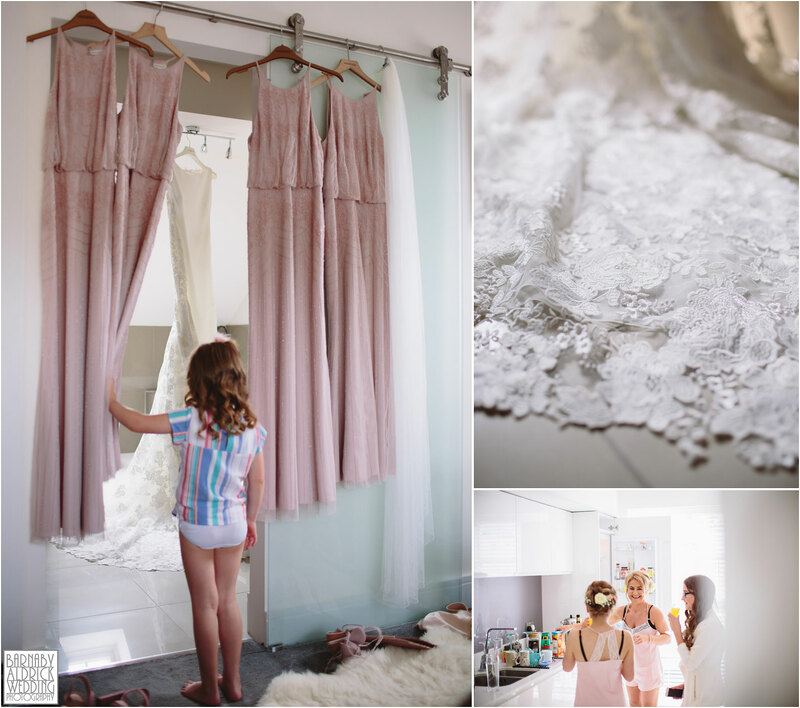 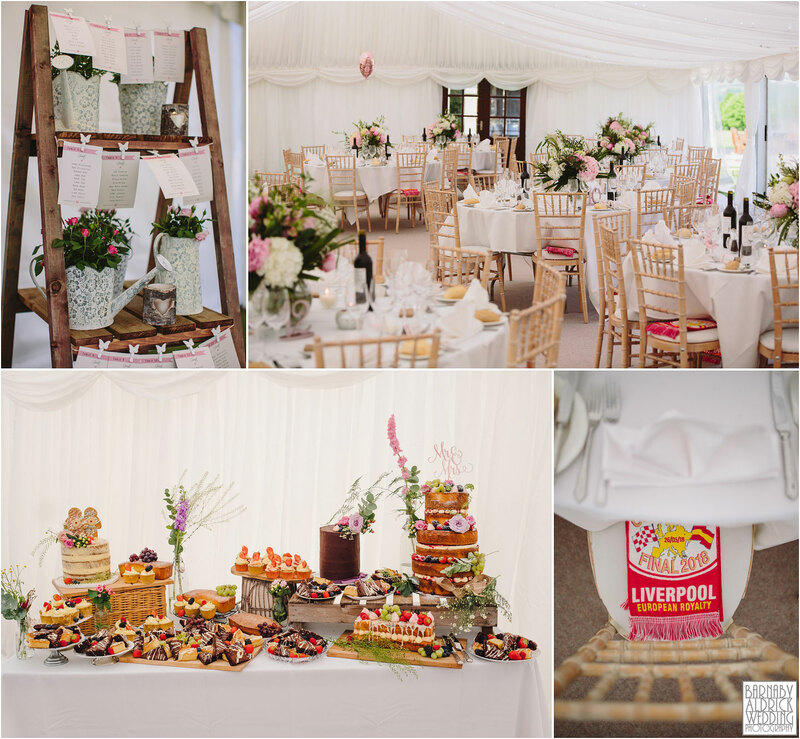 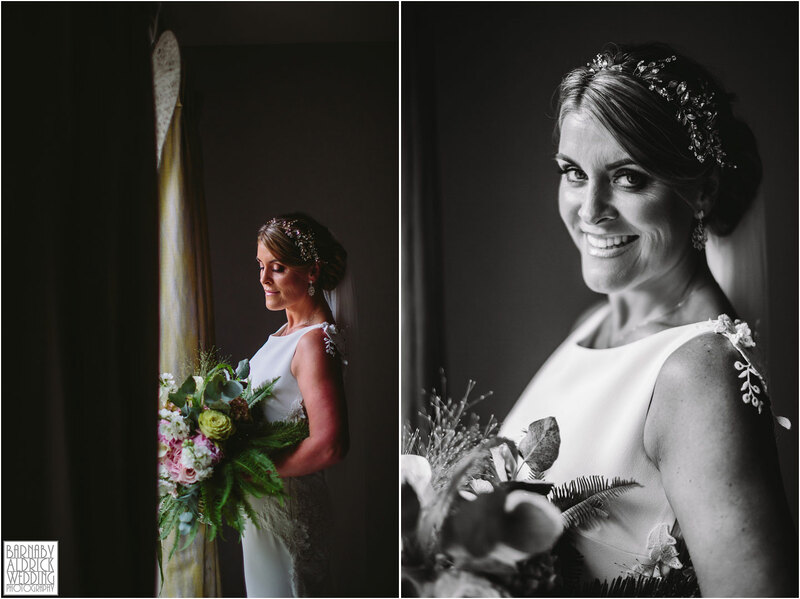 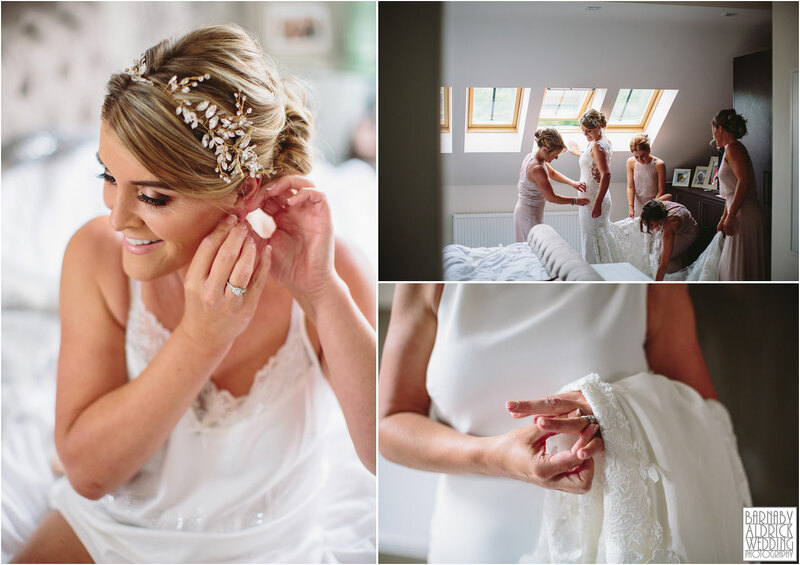 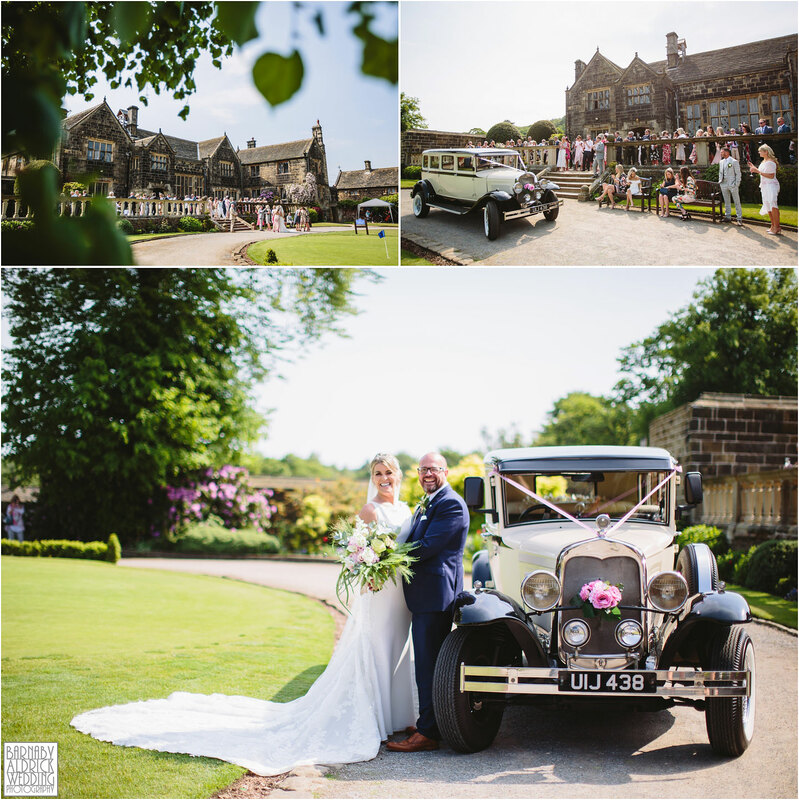 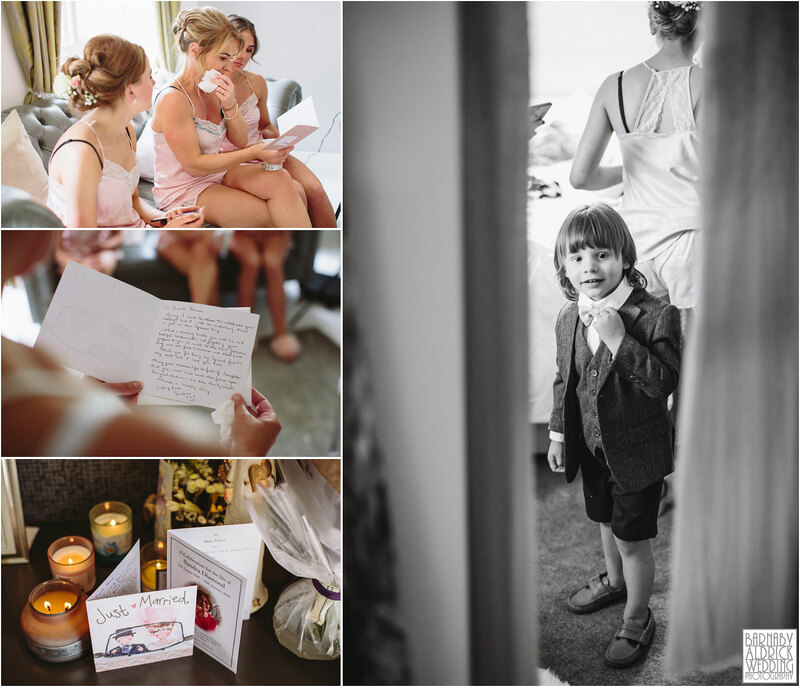 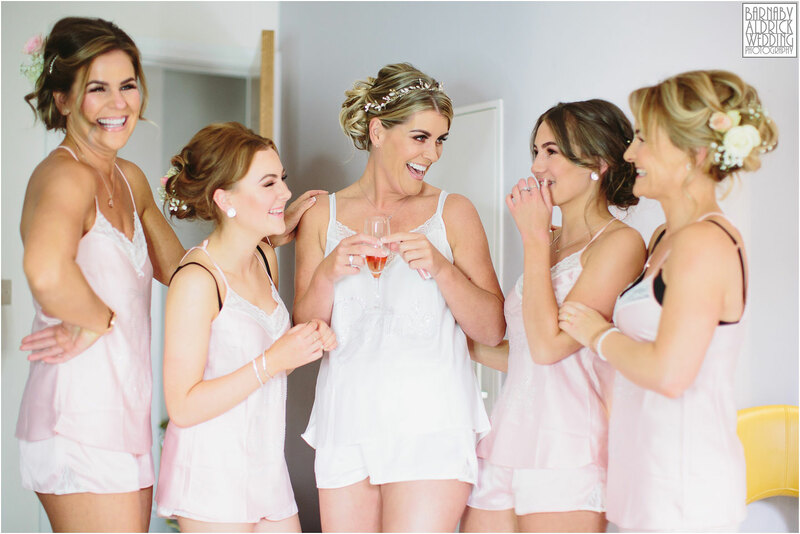 I hope you enjoyed Sarah + Steven’s Woodsome Hall Golf Club Wedding photos!